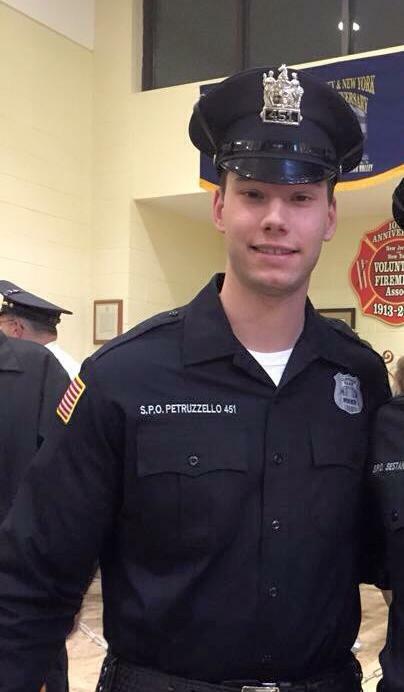 Special Police Officer Stephen Petruzzello succumbed to injuries sustained two days earlier when he was struck by a car on Walker Street, near First Street. He and another officer were crossing the street at approximately 6:30 pm when they were both struck by an SUV. Both officers were transported to a local hospital where Officer Petruzzello remained until succumbing to severe head injuries. The other officer suffered non-life threatening injuries. The driver of the vehicle was issued several traffic citations in connection with the incident. Officer Petruzzello had served with the Cliffside Park Police Department for only one month after graduating from the police academy. He was posthumously promoted to the rank of police officer. He was survived by his parents and sister. 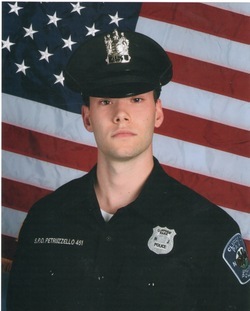 Rest in peace Officer Petruzzello.